Northumberland including Northumberland National Park is situated to the north west of our guest house in South Shields and is known to be the most sparsely populated county in England with just 62 people per square kilometre. It is also noted as having more castles than any other county in England including Alnwick, Bamburgh, Dunstanburgh and Warkworth castles. 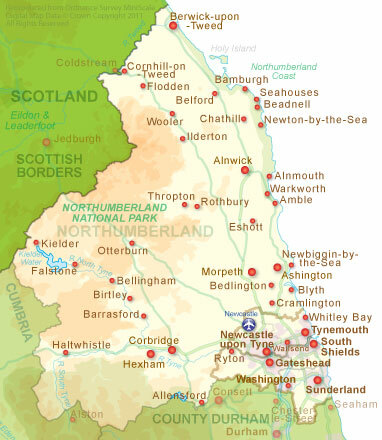 The county of Northumberland contains the following towns and villages: Alnmouth, Alnwick, Amble, Ashington, Bamburgh, Beadnell, Berwick, Corbridge, Cramlington, Craster, Hexham, Holy Island aka Lindisfarne, Morpeth, Rothbury, Seahouses, Wooler and Warkworth. Their proximity in relation to our guest house in South Shields can be seen in the map below. Both the 2013 Northumberland coast visitor guide and the Northumberland festival and events guide for 2013 can be viewed and downloaded here to give you some ideas of places to visit in the county. 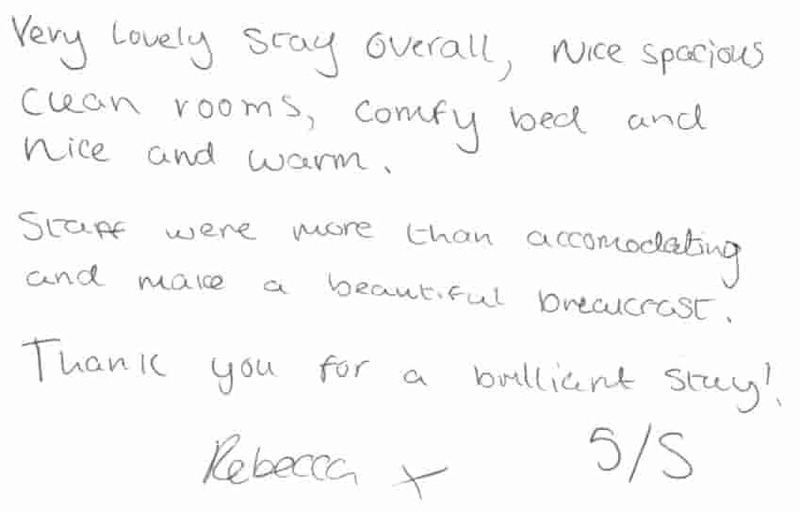 If you are looking for bed and breakfast accommodation for your visit to Northumberland our guest house room prices and availability are here: book online.